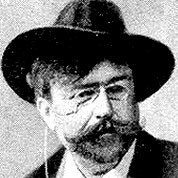 The virtuoso pianist and composer Isaac Albeniz was an instrumental figure in the development of the Spanish “nationalist” school of composition. Asturias-Leyenda is from his “Suite espanola” which contains eight pieces for piano with both geographical and generic titles. For example, Asturias is an old province of northwestern Spain, and a leyenda is a type of dance. Romantic Era. 136 Measues. 8 Pages. 3/4 Time Signature.